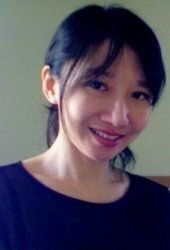 I am an experienced and qualified teacher/tutor of Mandarin and EFL with more than 12 years of experience. I offered private tuition for complete beginners to University level, tailoring lesson activities and teaching methodology to the students’ needs. As an enthusiastic language learner and teacher, I believe learning languages and cultures will open doors to knowledge and opportunities that would remain close otherwise. As I have studied and worked in Taiwan, Argentina, USA and Scotland, I possess excellent communication skills and fluency in Mandarin, English and Spanish. My language skills and extensive teaching experience allow me to interact effectively with students from diverse cultural backgrounds. Besides, I have an excellent rapport with both children and adults and thoroughly enjoy teaching. My teaching experience ranges from teaching Spanish, ESL and Transitional Bilingual Education (English and Spanish) in Chicago Public Schools, to establishing Mandarin after-school program at San Agustin High School in Buenos Aires, Argentina, as well as teaching Mandarin courses for adults at Edinburgh Chinese School. I have considerable experience in tutoring pre-modern Chinese Literature at university level with excellent results: I helped a student doing a joint honours degree of Chinese and Chinese History at Edinburgh University pass the final exams with a first with distinction in oral. He was also one of the UK finalists of “汉语桥” “Chinese Bridge - Chinese Proficiency Competitions for Foreign College Students” in 2011. I also helped a student of Chinese of Oxford University pass her finals with a 2:1 with distinction in oral, with only two weeks of intensive lessons. Based on my learning experience and years of teaching/tutoring experience, I have developed a unique methodology that effectively helps students think in the target language and acquire native-like pronunciation and fluency from the very start. My tuition is interactive and fun; I like to use games, role-plays and debates where possible to cover students’ learning experience and to diversify lesson activities. Hui-ju was great at building up the confidence of my daughter, who was in the middle of her GCSE Mandarin course and was struggling with speaking and listening. She was flexible with times and made the lessons enjoyable for my daughter. We will definitely be asking for more lessons before the end of the course. Hui-ju (Charlene) has proven to be a great help in increasing my son's proficiency and confidence in spoken Mandarin in preparation for his Advanced Higher in the subject in May. Thank you Linda. Tom has been great and I'm really happy to see the result. My daughter's confidence in Chinese has already grown only after 3 sessions with Hui-ju. Her teaching has been greatly beneficial for my daughter. Would happily recommend to anyone looking to study Mandarin. Thank you for the feedback. My pleasure! It's lovely having Eve as my student. I have daughters aged 8 and 11 taking mandarin lessons with Hui -ju and they both love her lessons. She makes learning fun and this makes them keen to learn more. My girls are always happy to do any homework she set and genuinely looks forward to their lessons with her. I feel lucky to have found her. Thank you Jennifer! It's my pleasure having them. The girls are just lovely and always keen on learning. I would highly recommend Charlene as a tutor, she is very friendly and has unlimited amount of patience when it comes to teaching myself (who is no doubt a slow learner!). I have only had lessons for the past 2 months however my Mandarin has improved a lot since I first began which is all thanks to Charlene! Thank you Jemma. I'm very happy to see your progress!